Beth Jennings is an associate attorney who grew up in Salt Lake City, UT and Las Vegas, NV. Beth’s legal practice focuses on family law, estate planning, small business ownership issues, and using the law to help protect the interests of LGBTQ children, parents, and families. Beth is licensed to practice in federal and state courts in Utah. Beth graduated from the University of Nevada, Reno, with a Bachelor of Science in cell and molecular biology. After her undergraduate studies, Beth joined the Teach For America program, where she taught high school biology in Newark, NJ. Beth then spent several years teaching in high-poverty schools in New York City. While teaching, Beth earned a Master of Science degree in library and information science at Pratt Institute in Brooklyn, NY. 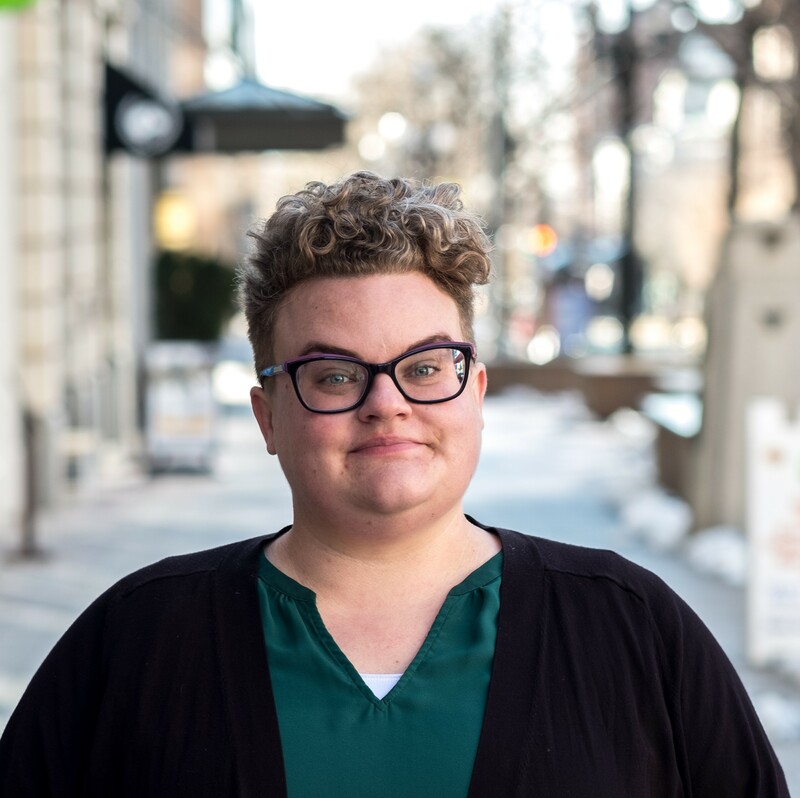 Beth’s personal experience with queer family planning and second-parent adoption led her to law school at the University of St. Thomas School of Law in Minneapolis, MN. While in law school, Beth worked at the Hennepin County Family Justice Center and participated in the University of St. Thomas School of Law Community Justice Project. She earned her Juris Doctor in 2014. Before joining the firm, Beth gained practical experience as a law librarian at the Matheson Courthouse. As law librarian, she did legal research and supported pro se litigants as they completed legal forms and navigated their way through Utah’s legal system. Beth and her wife have two children. Outside of the office, Beth spends her free time listening to podcasts and audiobooks, sewing, doing home improvement projects, and texting back and forth with her wife about what’s for dinner. Beth's pronouns are she/her/hers. “Serving Trans* Patrons in Public Law Libraries,” AALL Spectrum, July/August 2017.